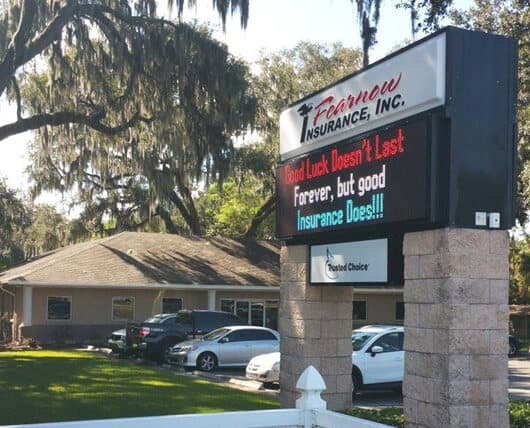 Our independent insurance agency has the experience and personnel necessary to fulfill our promise to our customers with efficient customer service, a caring attitude, and a vast knowledge that sets us apart from other Florida insurance companies, and helps us meet our client’s insurance needs. Whether our customers are in need of personal insurance, business insurance, health insurance, or life insurance, our specialists are here to provide guidance and service. Additionally, the insurance carriers we represent rely on our integrity, knowledge of their products, and our commitment to serving our customers to the fullest extent. This is what helps us keep our customers happy and their assets protected. If you need to get life insurance, or any other type of insurance coverage, you can count on our team to find the right coverage to fit your budget and your needs. Additionally, we believe that our community is very important, and that our company is privileged to be a part of it. We believe in giving back to the community with our involvement and membership in various areas, including the Chamber of Commerce, youth sports, and the annual fundraising golf tournament to benefit the Joshua House. Although our primary office is located in Seffner, Florida, our insurance company is capable of writing just about any type of insurance policy throughout the State of Florida. We can also service individuals and businesses across the United States. Fearnow Insurance was created in 1991 by Kenneth Fearnow as a multi-line independent insurance agency, and soon after, our company began to grow rapidly. In 1992, thanks to the growth of the agency, Ken’s wife, Susan, joined him in the business. The agency has enjoyed continued growth throughout the years with an experienced, quality staff in our personal, commercial lines, and employee benefits departments. With a deep belief in continuing insurance education courses, including the Certified Insurance Counselor program, we are able to provide our customers with the knowledge and service they deserve. Our agency was honored by winning the 2003 Greater Brandon Chamber of Commerce Small Business of the Year Award in our category and was one of the three finalists in 2002. We look forward to continuing our commitments and service to our customers in our impressive 5,000 square foot building, which was completed for us in May 2004. There are many different types of insurance available from our independent insurance company in Seffner, Florida. That is why the team at Fearnow Insurance wants to help you make the smartest choices when it comes to what types of coverage you should buy, as well as which carriers you should buy from. We handle all of your personal insurance needs as part of our commitment to excellence, and use our access to multiple A-rated, admitted carriers to find you the best coverage for the most affordable price. Just fill out our questionnaire and we will have a response to you within one business day. If you need a quote now, and it is during our hours of operation, then feel free to give us a call. Take a look below at some of the different insurance services we provide, including information about auto insurance, homeowners insurance, and life insurance. Then let one of our helpful agents discuss your needs with you so that you can find the best options for you, your family, and your assets. Additionally, make sure you take advantage of our free quotes.